A few months ago Sue at the blog Backlane Notebook suggested we start a monthly ‘Scent in the Garden’ meme. 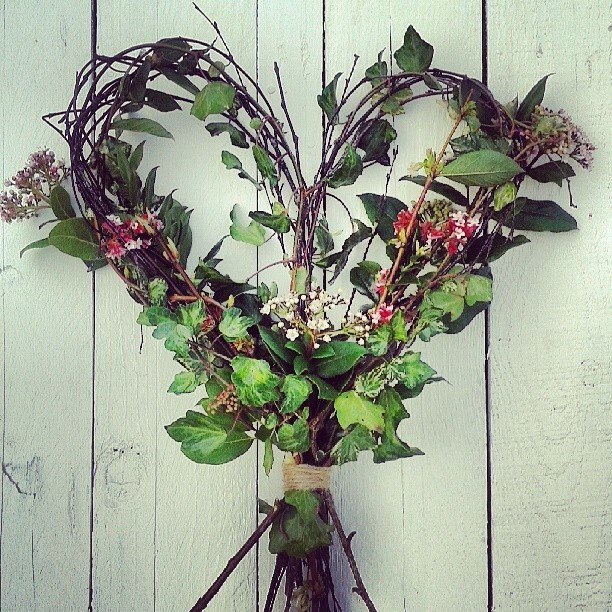 Being a bit of a fragrant plant lover myself I thought it was a fantastic idea. For centuries scent was the most important characteristic of a plant. In the days before bathrooms and a plethora of lotions and potions to make us and the world around us smell good, the fragrance of plants was an essential way to combat the many whiffs and pongs that would have been a constant onslaught to our olfactory organs. 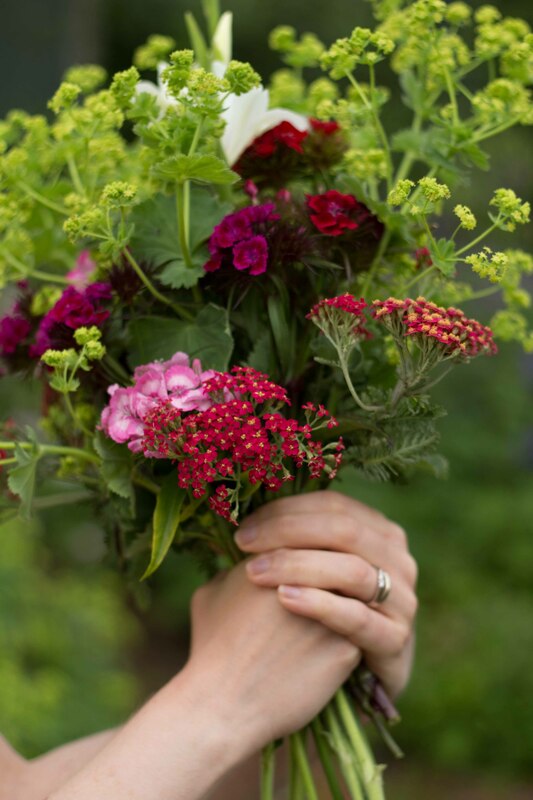 Nosegays – small posies of scented flowers and foliage – would have been pinned to your dress or coat or simply held under your nose in an attempt to mask whatever unpleasant aroma was in the vicinity. I just love that term ‘nosegay’ – in medieval Britain it meant an ornament to please the nose. Nowadays we have Glade plug-ins. Now I certainly don’t want to return to the days when the contents of chamber pots were flung out of windows but I do love the idea of embracing fragrant plants and natural perfumes rather than the artificial chemical air fresheners we have today. But, ever since plant breeders started crossing varieties to create fancier flowers and supposedly ‘better’ plants scent has been the feature most likely to be lost in the process. Perhaps as we have become cleaner our interest in fragrant plants has waned. 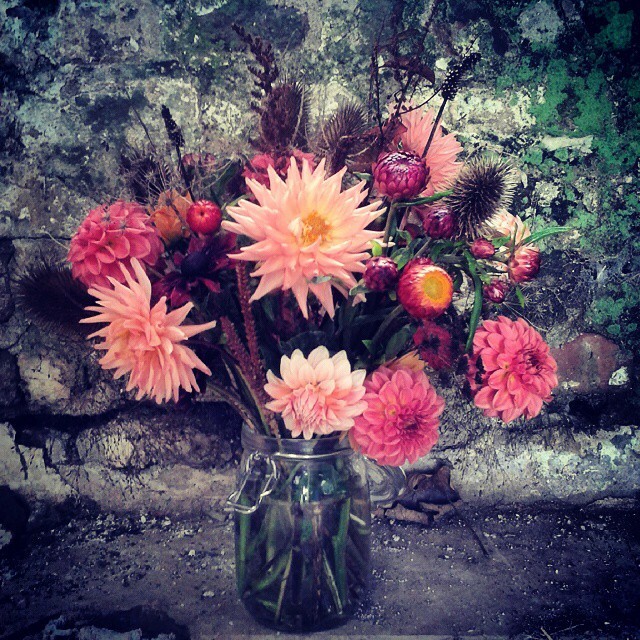 Certainly many shop-bought cut flowers are scentless, and for a period in the mid to late 20th century flower form and disease resistance were higher on the list of priorities for plant breeders, particularly when it came to that classic of all fragrant plants, the rose. Why you would want a rose with no scent is a mystery to me. I have been enjoying the Great British Garden Revival series of programmes on TV and it has been fantastic to see scent playing a big part, with Toby Buckland championing scented plants and Christine Walkden campaigning for people to rediscover the carnation, a plant which has suffered more than most as a result of the global trade in flowers. So it seems like a great opportunity to seek out, to share and to celebrate all that is scented in our gardens. Sue and I hope you’ll join us each month throughout the coming year by posting about what’s filling your garden or allotment with fragrance. It doesn’t just have to be in your garden though, if you spot a deliciously perfumed plant whilst on your travels, you sniff out something in the hedgerows or you have an indoor plant filling your home with scent please feel free to share them too. 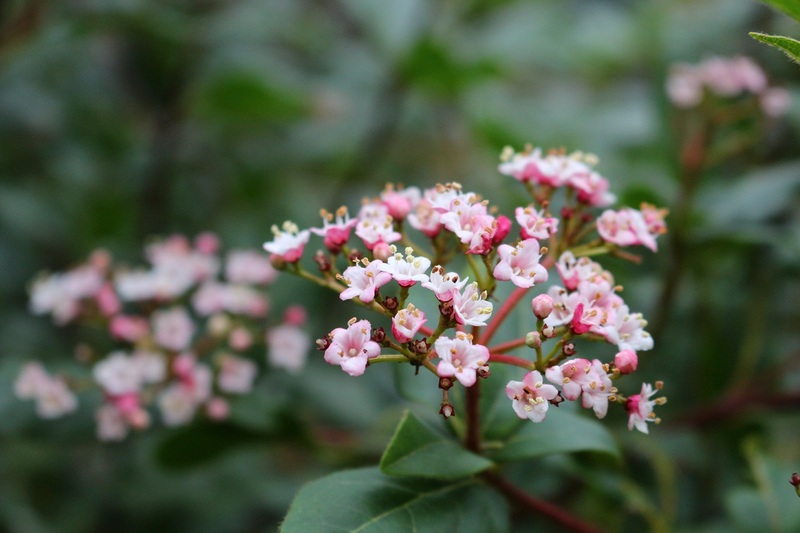 Winter might seem like an unlikely time of the year to be able to talk about scented plants but it’s surprising how many shrubs have evolved to flower at this time of year. It’s not easy attracting the small number of pollinating insects which might be flying around in winter, so to maximize their chances of grabbing the attention of a passing bee many winter flowering shrubs have incredible, intoxicating fragrances which will knock your socks off. 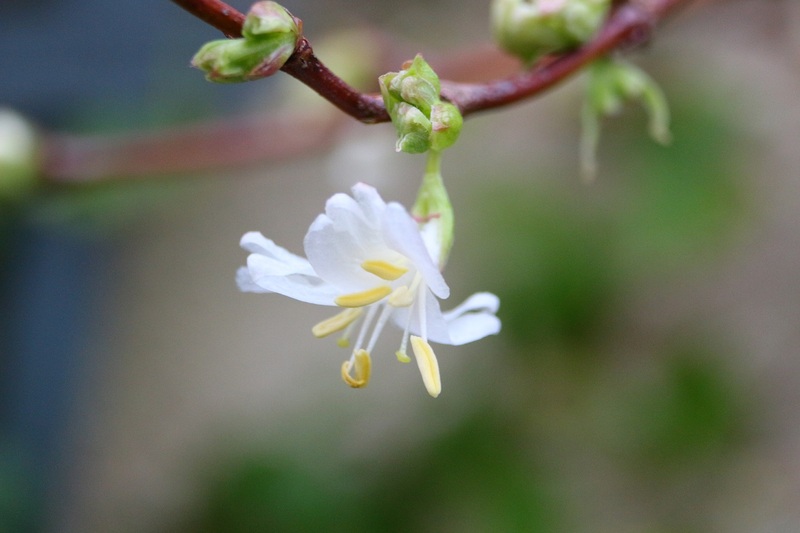 One of my favourites is the winter-flowering honeysuckle. It’s a scruffy, unkempt plant for much of the year. It doesn’t have much structure other than looking like an unruly twiggy clump. Every year I debate whether to dig it out. Then it had a stay of execution when we started to think about moving as I didn’t want to have to replant the gaping hole it would leave behind. I’m also a bit sentimental about it. 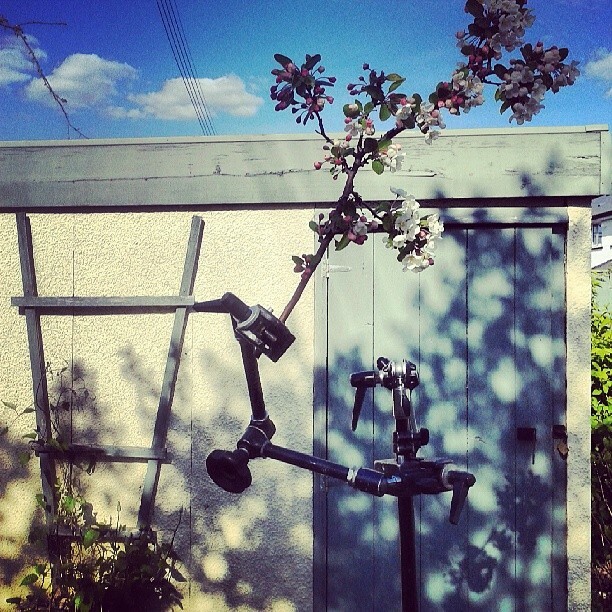 My winter honeysuckle was taken from a larger plant in the grounds of the college where I studied horticulture. A fellow student, Peter spotted a stem which had bent down and where it had touched the ground it had rooted. He dug it up and gave it to me. It’s all the more sentimental as Peter died a few years later. Then, of course, every winter the plant does its thing and I’m smitten all over again. Tiny, delicate ivory flowers with strikingly yellow stamens appear along the woody stems, looking like miniature summer-flowering honeysuckle flowers. And the fragrance is just beautiful. I spent Sunday afternoon in the garden tidying up dying and soggy foliage to reveal the spring bulbs poking through and the honeysuckle perfume which hung in the air was such a treat. You might say, ‘What’s the point of fragrant flowers in winter, it’s too cold, too wet or snowy to venture outdoors and appreciate them’, but a front garden filled with scented flowers will greet you every time your return home. Even a container planted with Christmas box (sarcoccocca) placed by your front door will raise the spirits on a January day. 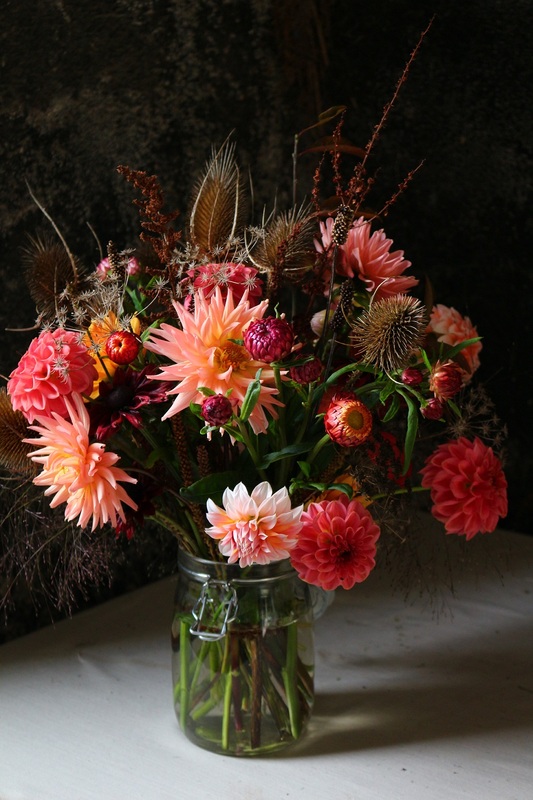 And, of course, you can always pick a few stems and bring them indoors to enjoy the perfume in the warmth. 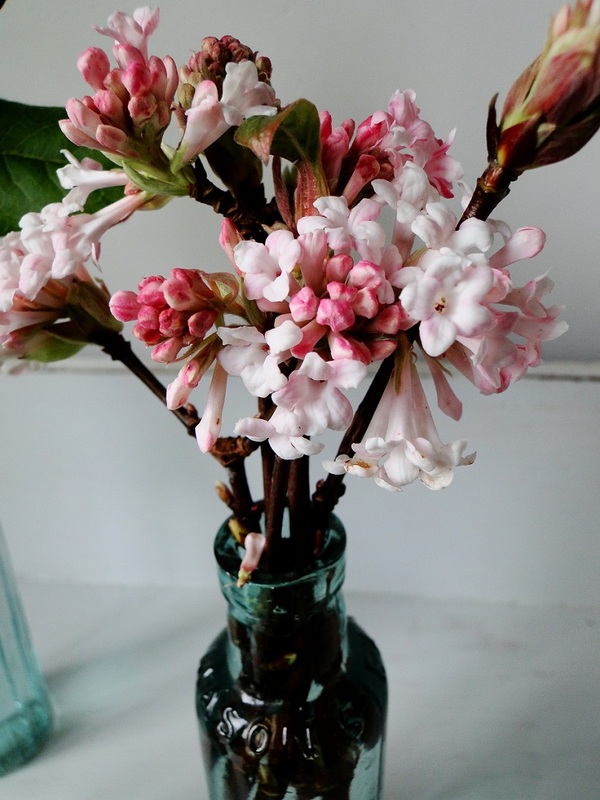 My own January fragrant plant count includes Viburnum x bodnantense ‘Dawn’, Viburnum tinus ‘Gwenllian’, Sarcoccocca and the winter-flowering honeysuckle, which isn’t too bad but I would love more. In particular, I covet a wintersweet (Chimonanthes), although I’m dismayed to hear it can take up to eight years from planting to flowering. One of my quests is to fill my garden with as many scented plants as possible, so I’m hoping that if you’ll join in this meme I’ll be able to uncover lots of perfumed gems to add too my plant wish list. 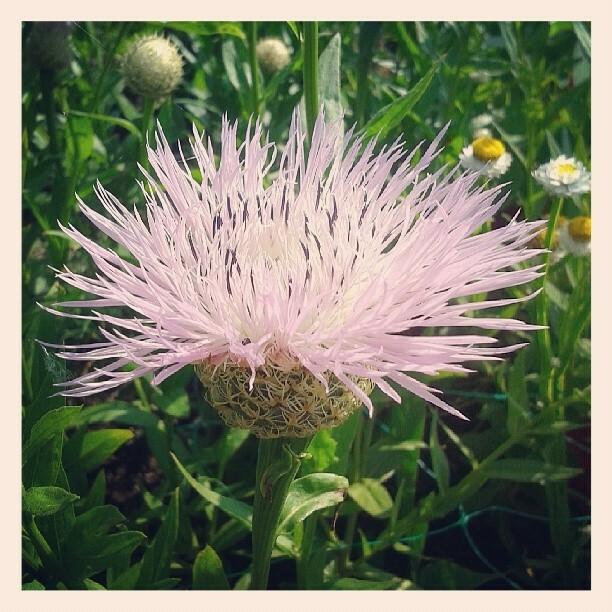 If you’d like to join in with ‘Scent in the Garden’ just post about what’s perfuming the air in your garden/growing space and leave a comment here or at Sue’s blog Backlane Notebook with a link to your post. A few weeks ago I was asked to come up with a design for a hanging basket for the online plant nursery Plant Me Now. The design had to include a selection of plants which would fit a 30cm rattan basket, there would be no side holes for planting, there should be no more than 7 plants and they had to come from the Plant Me Now bedding plants range or were plants which could be easily sourced. Oddly, I’ve never made a hanging basket before. I’m not sure why. 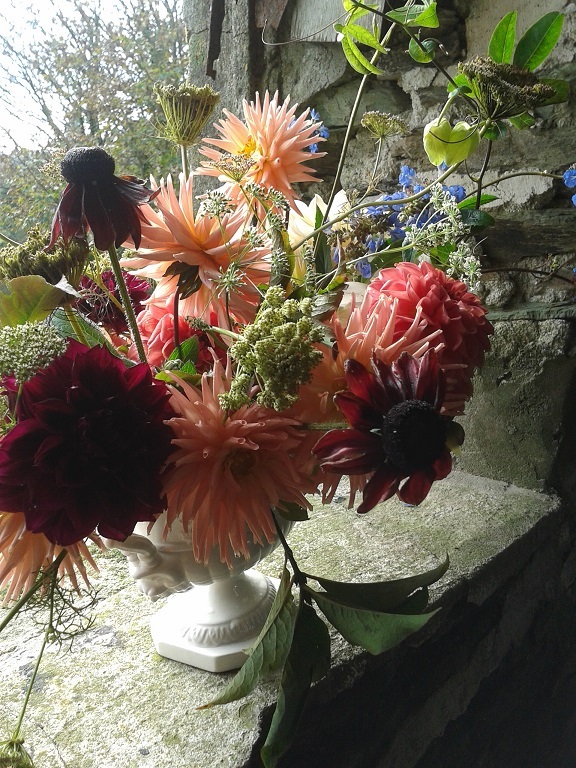 My neighbour had a beautiful one by her front door this summer and they are an integral part of my village’s Britain in Bloom entry, with shops and pubs producing a spectacular show every year. Because my focus for the last couple of years has been the allotment and the cut flower patch I haven’t even planted containers to have by the front door or on the patio, but this year I did do a few decorative pots for the back garden. The simplest, and what turned out to be the most effective, was a zinc container filled full of night-scented stock. It was one of the first plants I remember growing from seed when I was about seven but for some reason I hadn’t grown them in years. 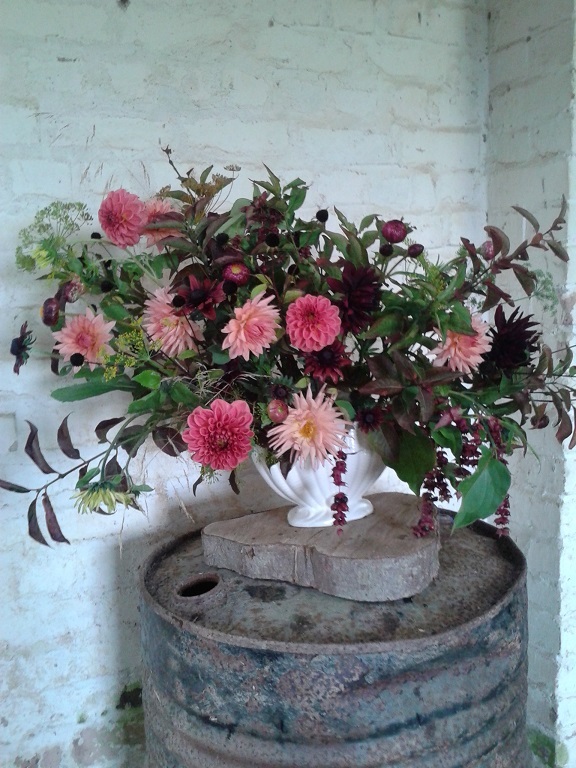 The scent was so fabulous; one pot filled the garden with scent throughout the summer. The fragrance drifted into the house on those warm summer evenings that seem such a distant memory now. 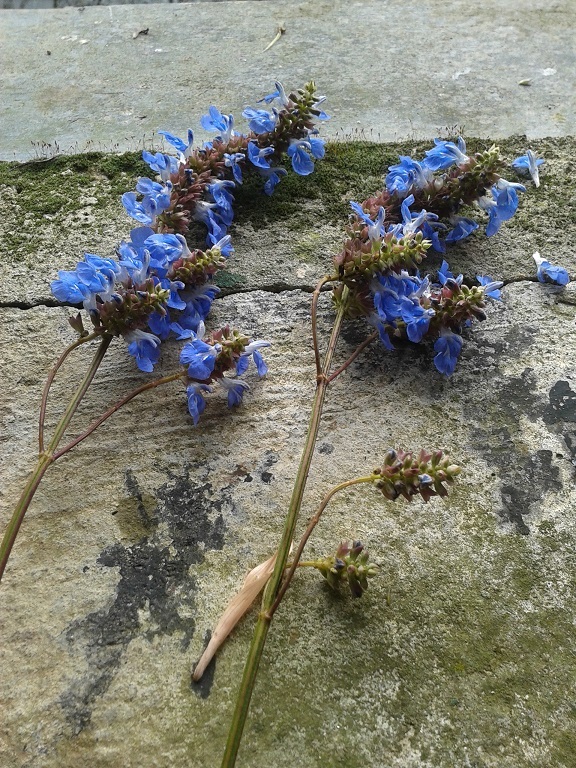 It was also so easy to grow from seed and just kept on flowering. I love the element of scent in a garden, something that makes you linger and stops you in your tracks, and that’s where the idea for my summer evening fragrant hanging basket started to form. 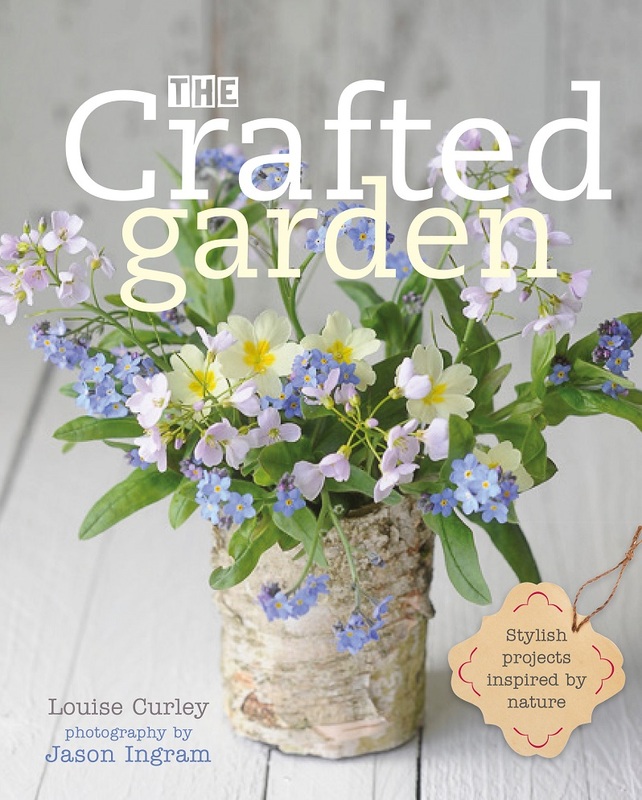 I had a quick look around the Plant Me Now website and a few old Gardens Illustrated and Gardeners’ World magazines for inspiration and then set about deciding on the planting criteria for my basket. There would have to be scent obviously, the plants should flower over a long period, they should be compact and there would need to be an element of trailing and tumbling plants to dangle down the sides of the basket. 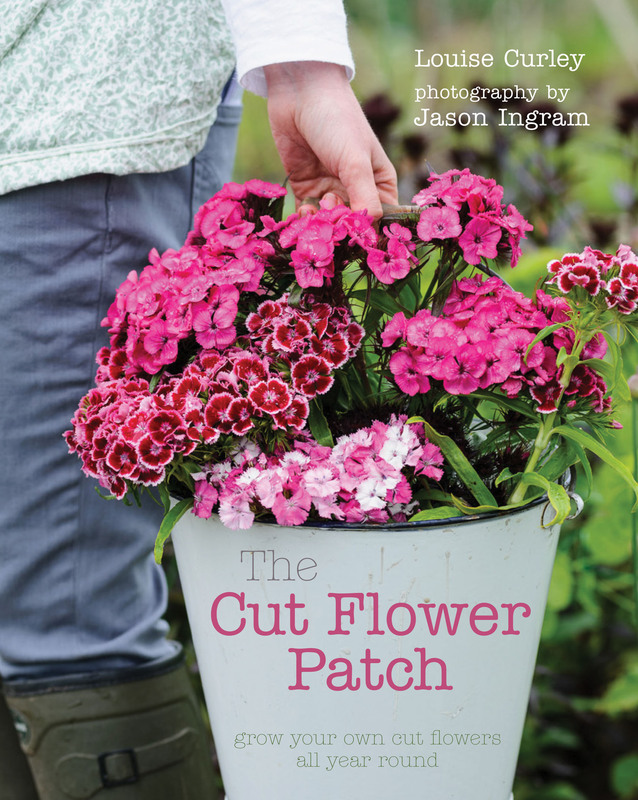 Buying a bunch of sweet Williams from a local cut flower grower at a farmers’ market was one of the reasons why I started growing my own cut flowers. 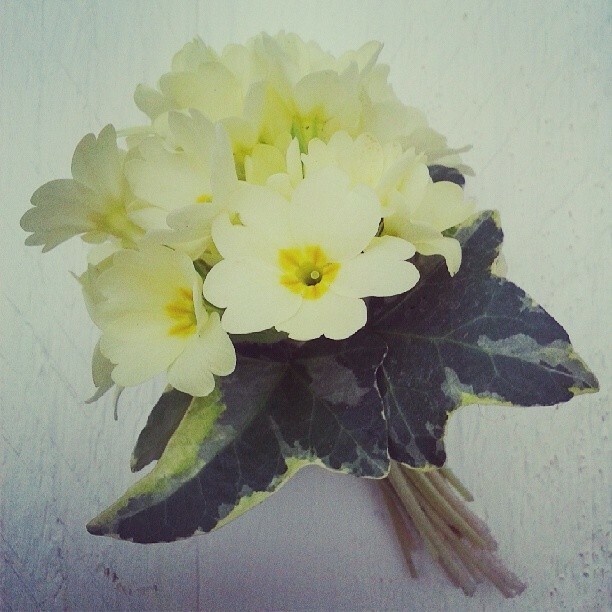 They have an old-fashioned charm, the sort of flowers you remember being given by your granddad when you were a child. Most sweet Williams are biennials so they are often forgotten about, and when you do come to think about adding them to your planting plans you realise it’s too late. That’s why I was so pleased to discover a range of annual sweet Williams. The subtle clove-like fragrance and compact upright habit makes them perfect for planting in the centre of my hanging basket. 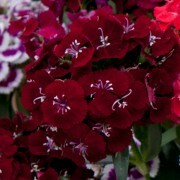 I chose the gorgeous claret coloured ‘Sweet Black Cherry’. Around this central planting I plumped for Nemesia ‘Lady Scented’ with its pretty lilac/pink flowers and its strong fragrance. It forms neat mounds and is very free-flowering. As this hanging basket has no space for side planting I wanted to include a selection of trailing plants which would tumble out of the top and spill over the sides softening the edges of the basket. Petunia ‘Tumbelina Melissa’ with its frilly, double ivory-coloured flowers fitted this role with the added bonus of scented blooms. 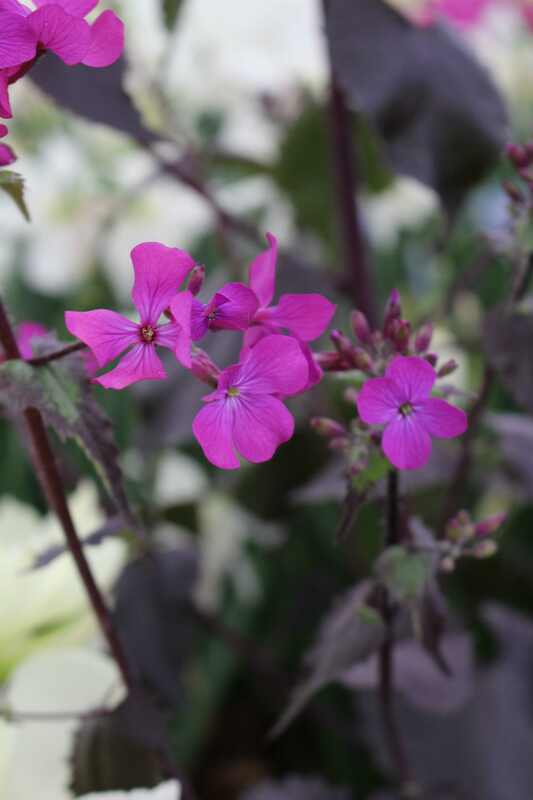 Planted amongst the petunias would be night-scented stock. 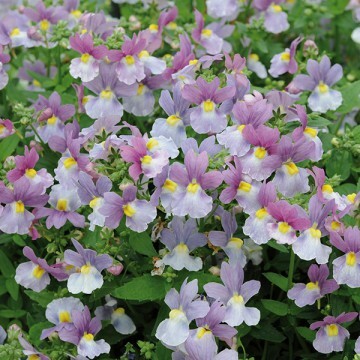 They have a naturally leggy, sprawling habit perfect for cascading out of a hanging basket. 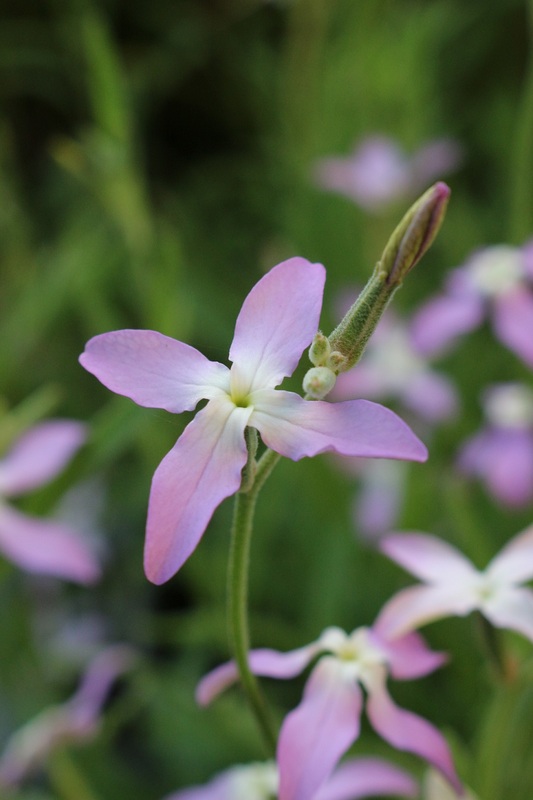 The flowers of night-scented stock open in the evening to release their perfume providing a source of nectar for moths. The flowers aren’t especially showy but I love the pale lilac, pink and white four-petalled blooms for their daintiness. 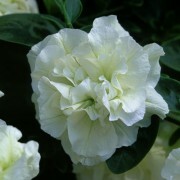 If you would prefer a flower that opens during the day you could grow Virginian stock instead which is scented too. 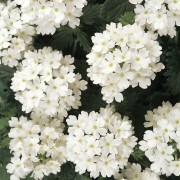 Finally, to add some extra flowery oomph, I plumped for Verbena ‘Aztec White Magic’ as the last addition to the planting. Although not scented it makes up for this with its long season of flower production and it will tumble and trail out of the basket too. 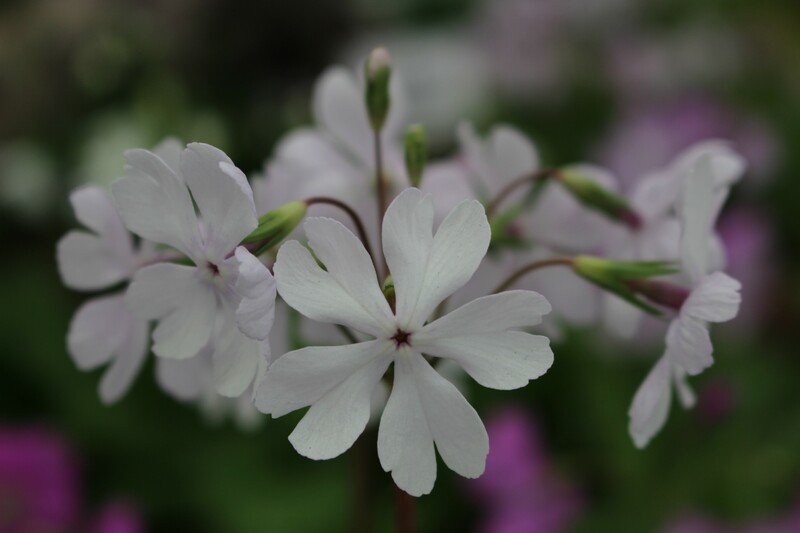 Verbenas come in a range of colours but I chose white because I love how white flowers almost ‘glow’ as light fades in the evening. So that’s my summer evening scented hanging basket. Perfect for hanging by French doors where the scent will waft into the house and linger in the air around an outdoor seating area. *I received a fee from Plant Me Now for working on this project and I will be donating a proportion of this to the Crisis at Christmas Appeal. I have long been a fan of the garden designer Piet Oudolf. 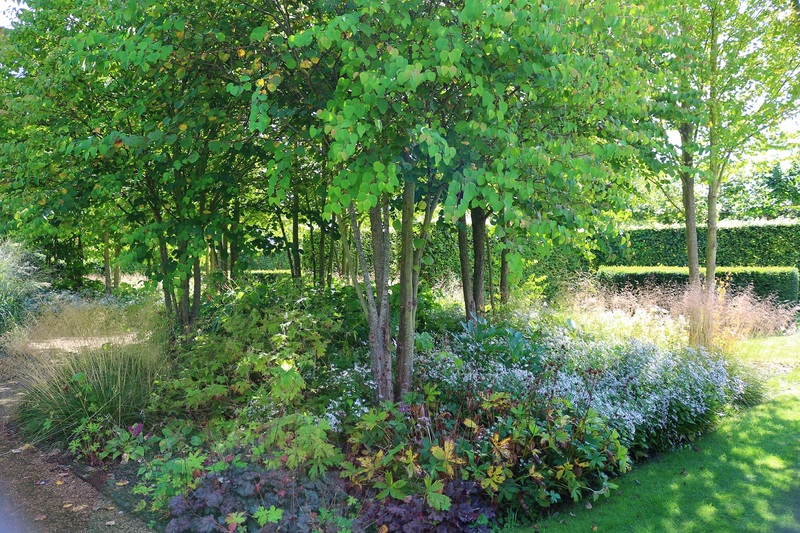 Dutch born Oudolf has championed a new style of planting and landscaping known variously as ‘new European’, ‘new wave’ and ‘new naturalism’. Whatever you want to call it, it has become THE design style of the early 21st century and his ideas of large blocks of perennial planting have captured the imaginations of gardeners, designers and urban landscapers alike. Grasses such as molinias and calamagrostis and rudbeckias, echinacea and heleniums are all classic Oudolf plants. But it’s not just the visual impact of his design and planting style that have made his ideas so popular. His choice of plants, often inspired by the prairies of North America, tend to flower in later summer and autumn. Whereas many of the more traditional English cottage garden plants have given up the ghost by August, gardens planted with these late flowering perennials are just coming into their own. 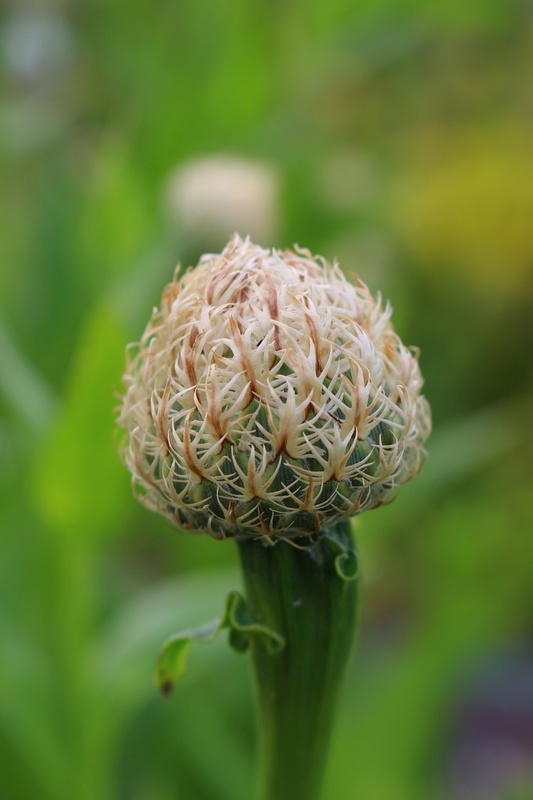 They also leave behind stunning seed heads and skeletons as the garden descends into winter which gave structure and interest. Another attractive feature of these perennials is that they tend to need little attention. Many benefit from the ‘Chelsea chop’ in late May and need dividing every 3 or 4 years but other than that they can be left alone. The other huge plus is that the plants are loved by pollinating insects. 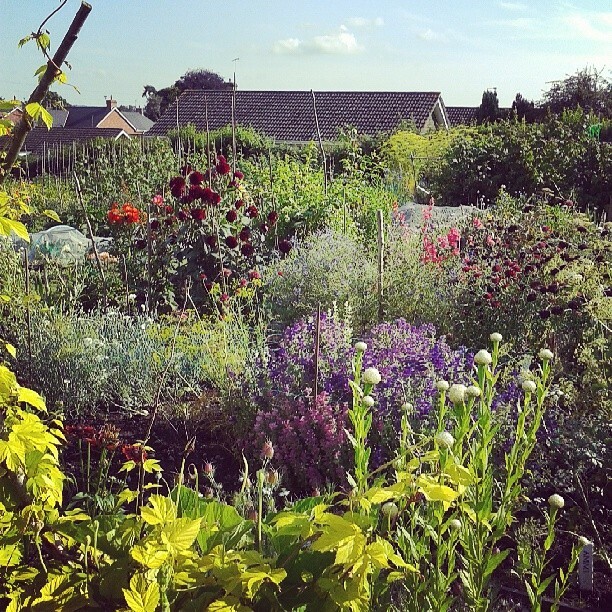 In many ways it is a much more sustainable approach to gardening particularly for parks and country houses which used to rely heavily on intensive and expensive bedding schemes. 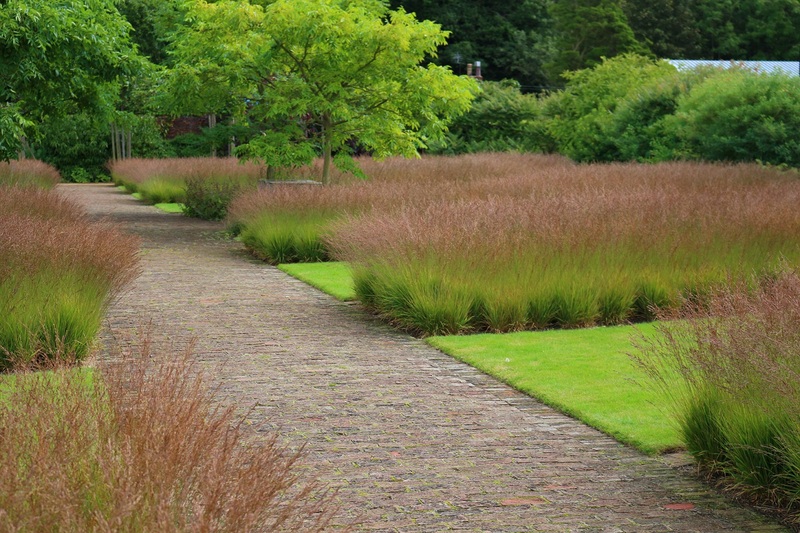 Piet Oudolf’s style of planting has proved to be hugely popular with urban planners. The mass planting works particularly well on a large-scale where the dramatic effect of large blocks of colour can be seen at their best. Parks and urban areas in Germany, Sweden, the UK and America have all had the Oudolf treatment. Perhaps his most famous and inspirational project to date is the High Line in New York, a public park built on an old railway line raised above the streets of Manhattan. 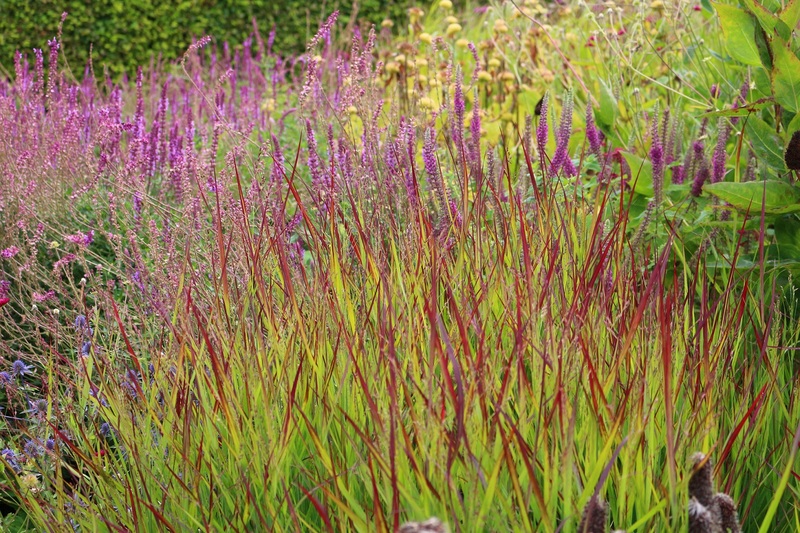 There is something painterly about Oudolf’s designs. The blocks of colour created by sedums, eryngiums and eupatoriums make you feel like you’re looking at a work of art. 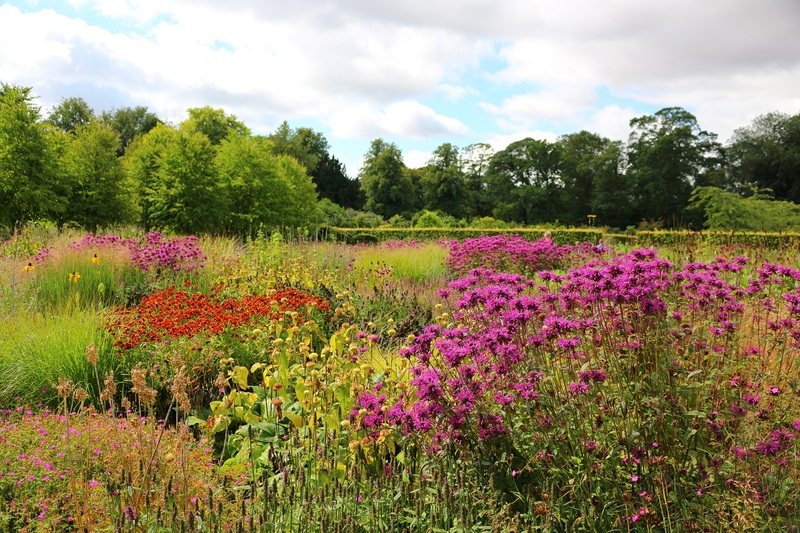 The first Oudolf planting scheme I saw was at RHS Wisley where he had created his own take on the classic English country garden double herbaceous borders. It was an impressive sight but it was his garden at Pensthorpe Wildlife Reserve in Norfolk which really blew me away. I’ve wanted to visit Scampston Walled Garden for some time now. Scampston is the largest example in the UK of a privately commissioned Piet Oudolf garden. In 1998 the owners decided to transform the derelict 4 acre walled garden and rather than restore it in a historical way they decided to go for something modern. It’s a brave choice to try to combine the old – a late 18th century Regency house and Lancelot ‘Capability’ Brown grounds – with something contemporary. For me it worked incredibly well and I loved the combination of old and new. 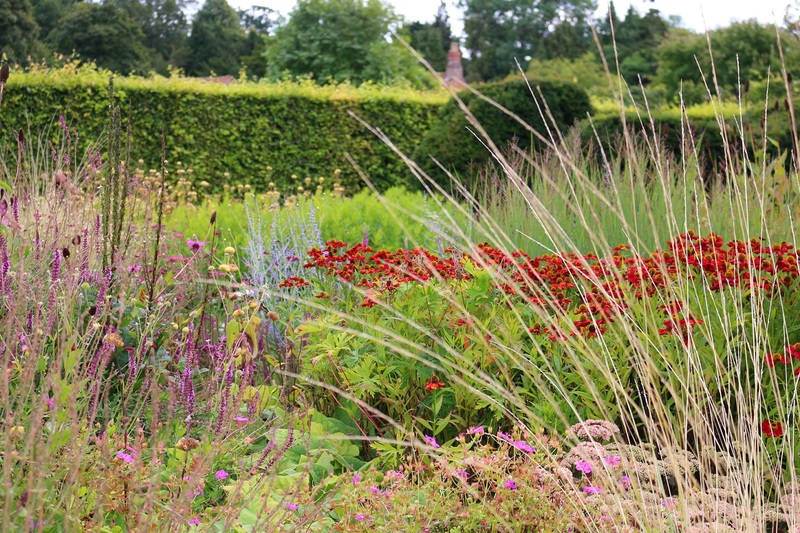 The Piet Oudolf area is contained within the walled garden. A path initially takes you around the edge of the garden. Known as Plantsman’s Walk, the high brick walls on one side and tall beech hedges on the other give the impression you’re walking into a maze. Deep borders are filled with hydrangeas, geraniums and the fabulously red wine coloured leaves of Cercis canadensis ‘Forest Pansy’ and the unusual berried Actaea alba. From here a path leads into a series of ‘rooms’ divided by more beech hedges. I particularly loved the Katsura Grove. I had heard of this mythical tree, whose leaves smell of cinder toffee, from my tutor at college but I have never come across them before. You know when you’ve been told something is fantastic and then when you experience it you wonder what all the fuss was about, well I’m please to report I wasn’t disappointed – they really do smell like toffee. Beds were planted with multi-stemmed Katsuras (Cercidiphyllum japonicum) and underplanted with Aster divaricatus. It was a beautiful combination and both plants have gone straight to the top of my ‘plants to buy for my next garden’ list. From here paths lead off into areas with more traditional style borders backed with beech hedging and planted with late summer flowering perennials and grasses. But it was the central perennial meadow which was the showstopper. Divided into quarters with a circular pool at the centre each section is planted with a rich palette of colours punctuated by swaying, tactile grasses. And it was teeming with bees, butterflies and hoverflies. Currently one end of the garden is boarded off. The old glasshouse, in desperate need of restoration has been removed in sections to be repaired with the help of Lottery funding. It will be an impressive sight once completed looking out on to the hub of the garden. It’s a pity more thought isn’t given to construction work on tourist sites though. I remember as a child my dad complaining that wherever we went on holiday in Europe there would always be scaffolding or a crane spoiling the very view we had travelled so far to see. The Italians though had a very nifty idea. They used to – I don’t know if they still do – hang huge canvasses over the building which is being restored. The canvas would have an artist’s impression of the restored building which would hide the worst of the building work. It wasn’t perfect but vastly superior than a lot of plywood and a big blue lottery sign. In contrast to the colour of the perennial meadow the adjoining area consisted of blocks of one type of grass, Molinia caerula ssp caerula ‘Poul Peterson’. It was simple, striking and hugely effective. It was impossible to walk through without stroking the grasses. There are other areas too, a small orchard and kitchen garden and the landscaped grounds which, on this occasion, we didn’t have time to see, but these really are the sideshows to the spectacular centrepiece. Designs, styles and plants come and go in gardening just as they do in fashion and interiors but I think the influence of Oudolf will be around for some time to come. If you can, try to visit one of Piet Oudolf’s gardens or parks – I don’t think you’ll be disappointed. I’m never quite sure where to start when I have had a bit of a blogging break. I didn’t plan a hiatus. I rather like the discipline of writing a post every week and know from my attempts in the past to keep a diary how hard it can be to start writing again once you get out of the rhythm. A virus sapped me of much of my energy for several weeks. I know something is wrong when the thought of going to the plot, or the need to spend some time in the greenhouse feels like too much of an effort and more like a chore than something I normally love. Work was pretty hectic too and the two combined to result in a stinking cold. There wasn’t much I could do but crawl into bed and stay there for a few days. Of course, I spent the whole time lying there thinking about how much there was to do. I would say if a gardener is going to go sick the worst time to do it is probably April. I could almost hear the weeds at the allotment growing as I reached for another tissue. 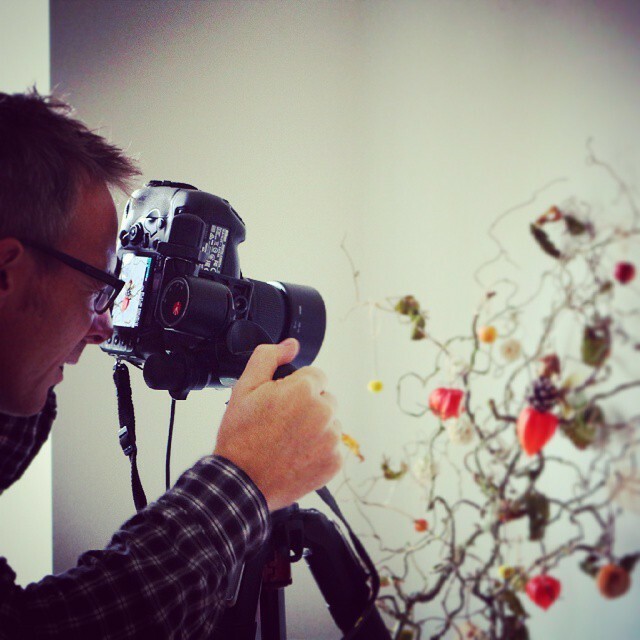 Oh, and there was the small matter of having to prepare for the first photo shoot of my second book. I’m not quite sure how that bit happened but I find myself growing plants for another book and entering round two of my battle with the weather. Last year my panic was fuelled by the lack of any spring and the worry we might never have a summer. This year it’s all change with a spring of warm sunshine. Beautiful, and I wouldn’t swap it but it has been a bit of a nightmare trying to keep plants from going over. With a bit of breathing space, now I have some photos in the bag, followed by a relaxing Easter break I thought it was about time I put fingers to keyboard and return to my neglected blog. In some ways being otherwise occupied has been a bit of a blessing. I do have a tendency to get a bit carried away with half-hardy annuals, sowing them too early. I always seem to forget, or choose to ignore the fact that they germinate and grow pretty quickly. By the start of May, I have windowsills chock full of courgettes, French beans and squashes romping away with nowhere to go because it’s still too chilly for them outside. I’m hoping my timing this year, sowing in the middle of April rather than at the start of the month, might be a bit more realistic and save me the headache of trying to accommodate the triffids reaching for the sun. It’s a pity I can’t be more realistic about the number of plants it is possible for me to grow. The greenhouse, cold frames and windowsills are running at full capacity at the moment. But it’s impossible to turn away more plants. 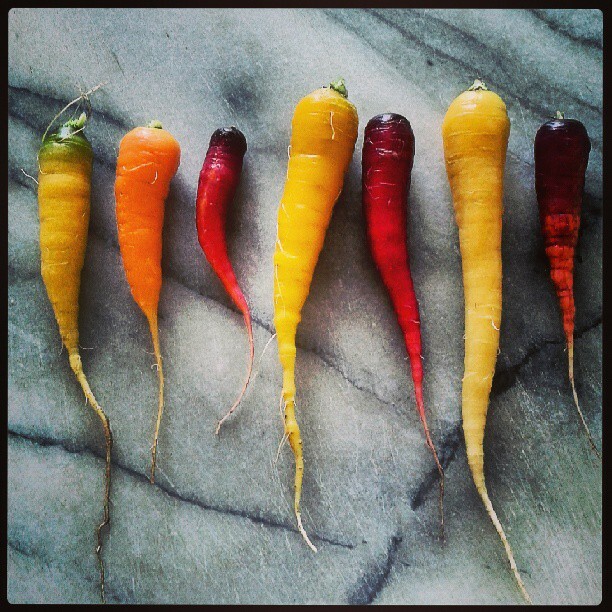 One day, a few weeks ago, an unexpected parcel arrived from Suttons Seeds. They had very generously sent me a sample of 3 tomato plug plants. I did groan a little initially, thinking where on earth was I going to put them, but it wasn’t long before I had mentally rearranged the myriad of plants I already have to be able to squeeze them in. I’m really looking forward to giving them a go. I have had pretty disastrous results growing tomatoes since I moved to Wales, with tomatoes succumbing to blight, and then last year, with the greenhouse installed they suffered at the hands of a bad batch of compost and shrivelled up and died. The tomatoes Suttons sent are a new variety called ‘Indigo Rose’. It’s a black-skinned tomato that is apparently packed full of the antioxidant anthocyanin. It’s a grafted tomato too which I have never grown before. The apparent advantages of grafting include greater yields and improved disease resistance. They’re growing quickly on my study windowsill at the moment. Hopefully it won’t be long before some space is freed up in the greenhouse so they can take up residence there. I’ll let you know how I get on and hopefully I’ll get some fruit so I can report back on the all important flavour test. My cold shifted in time for me to make a trip to the RHS Cardiff Show. The weather couldn’t have been more spring-like and the show does have a feeling of excitement and anticipation of the growing season to come. 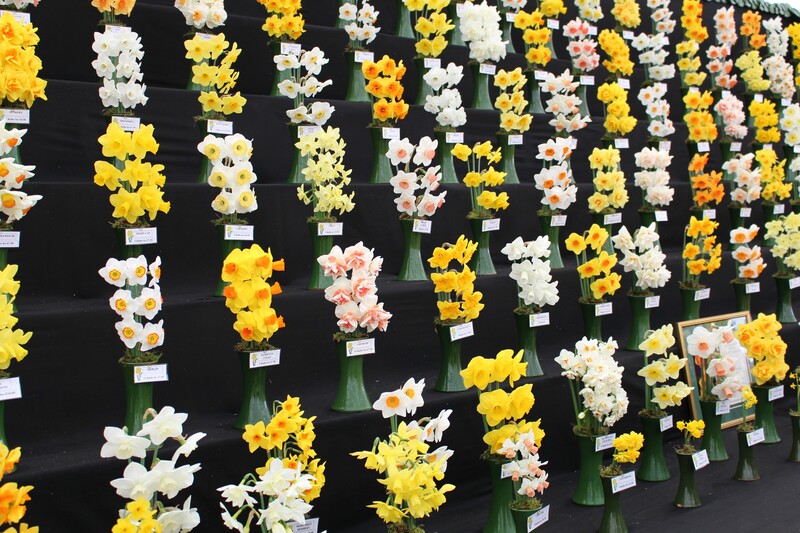 The floral marquee looked spectacular with the incredible R A Scamp narcissi display winning best exhibit. The show gardens were much improved this year compared to last. 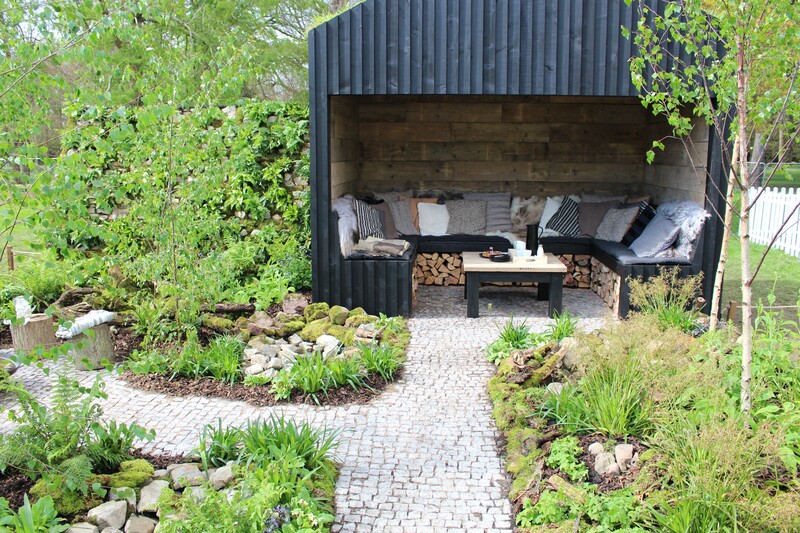 I particularly loved Victoria Wade’s Norwegian inspired garden with its naturalistic feel. The highlight of the show for me was the discovery of this beauty, Lunaria annua ‘Chedglow’ on the Avon Bulbs stand. It’s a variety of the humble honesty plant with incredible chocolate coloured leaves and striking purple stems. I love honesty for cutting, both for the spring flowers and for the moon-like seed pods produced in summer and think this will be a stunner when arranged with tulips. I came away with a packet of seeds. As a biennial it won’t produce flowers until next spring but it’ll be well worth the wait. I’m grumpy. I am sat here at my desk writing, with the rain and wind lashing against the window, wondering if this weather will ever stop. I can’t remember the last time I saw sunshine. 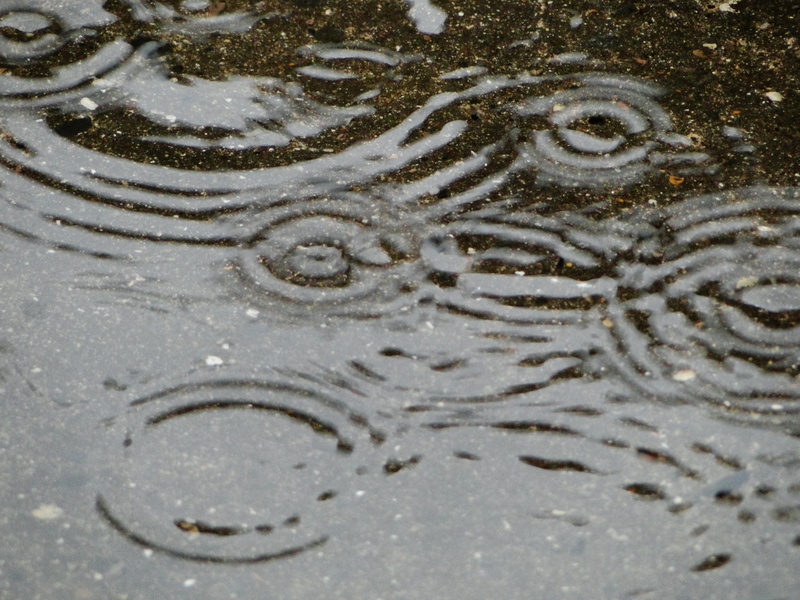 It has been the wettest January for a hundred years in parts of the south. No mention of how Wales has fared yet but if someone tries to tell me there has been a wetter January …. well it just can’t be possible. A simple 5 minute walk to the post office or to pick some vegetables from the plot requires head to toe waterproofing and I am sick of looking like a trawlerman every time I need to leave the house. I’m even fed up of having to wear my beloved wellies. I’m not just grumpy with the weather I’m grumpy with myself for constantly banging on about the weather. As I commented to Flighty the other day, I’ve started to bore myself. Back in the autumn I planted up a variety of bulbs for indoors. The narcissi, hippeastrum and hyacinths have all been and gone now but I planted up some crocus too. I love crocuses and their cheery flowers but hate the fact that they seem so easily damaged by the weather. 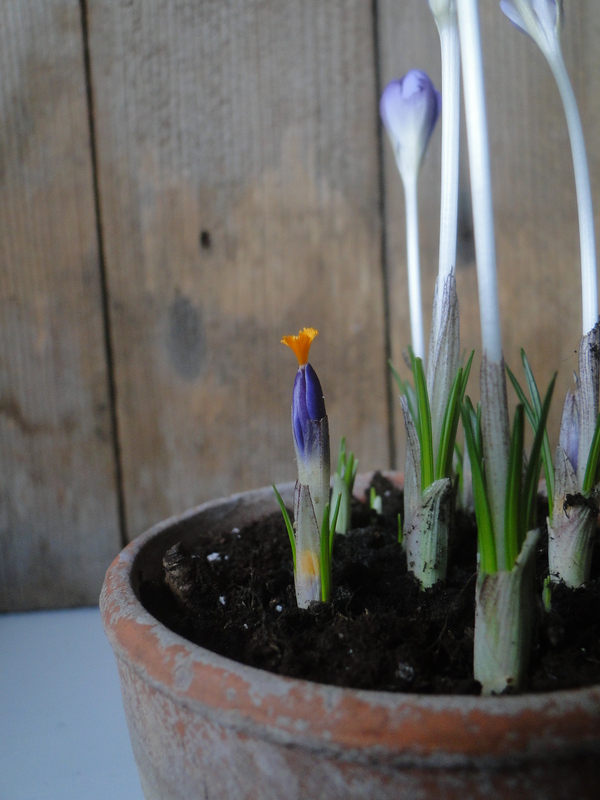 I have found the best compromise is to fill some small clay pots with bulbs, put these in the greenhouse and when there are signs of greenery bring them indoors. They flower a little earlier with the extra protection, last so much longer,and I get to enjoy their flowers from the warmth of my kitchen. Well, that is if you get to them before the slugs do. Slugs in January, now that just made me even grumpier. The distinctive silvery trail ran across the top of the pots and the crocus stumps they had left behind. I’ve also discovered this odd phenomenon where some of the petals seem to have not developed properly but the distinctive orange stamens have poked out. It makes them look like mini versions of Beaker from the Muppets. Has anyone noticed this before? It doesn’t look as if I can attribute the blame for this to the slugs. Fortunately, some of the pots were untouched and I now have the flowers of Crocus ‘Cream Beauty’ appearing unscathed, so all is not lost and it looks like ‘Snow Bunting’ and some of the ‘Barr’s Purple’ have survived too. A couple of crocus in the garden have reared their heads but they really shouldn’t have bothered as they look forlorn and mud splattered at the moment. 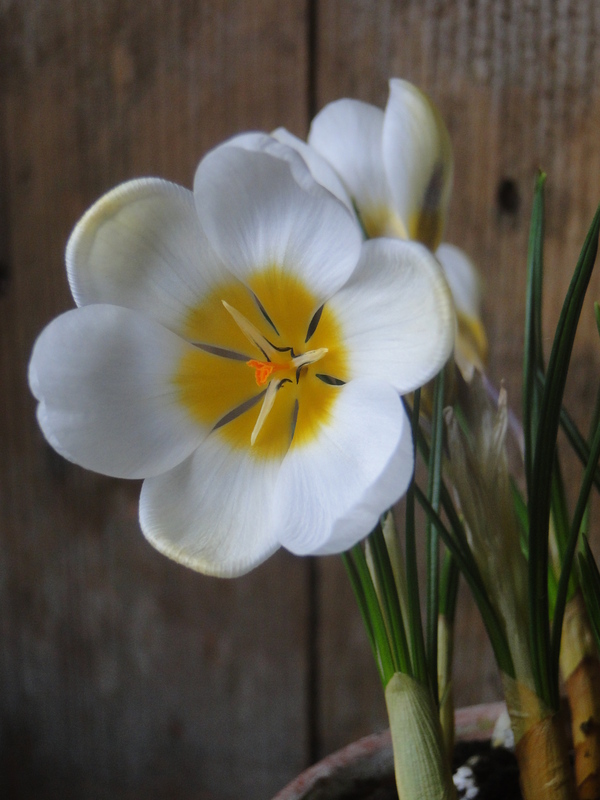 The real delight of bringing plants like crocuses indoors is that you get to look at them close up. It’s hard to get close to something that might only be 10cm tall when it’s growing in the garden. In a pot on my window sill I can see the delicate markings on the petals but best of all I have discovered that crocus have a scent. You need to get right into the flower to catch a whiff of the perfume but it’s worth it. It isn’t a scent which permeates a room, which is a pity, but every time I pass by, I stop to have a sniff, and it’s enough to lift the spirits. Some plants in the garden haven’t escaped winter slug damage. The flowers of snowdrops have been nibbled too, as have some primroses. It all makes me wonder about climate change and gardening. In 2012, we had no summer to speak of. Instead we had grey skies, cold days and lots of rain. Last year we had no real spring with cold days lingering on well into June. I remember vividly that first week in July felt as if we went from winter to summer. My memory of this is so good because I needed an extension on the deadline for my photographs for the book I was writing. 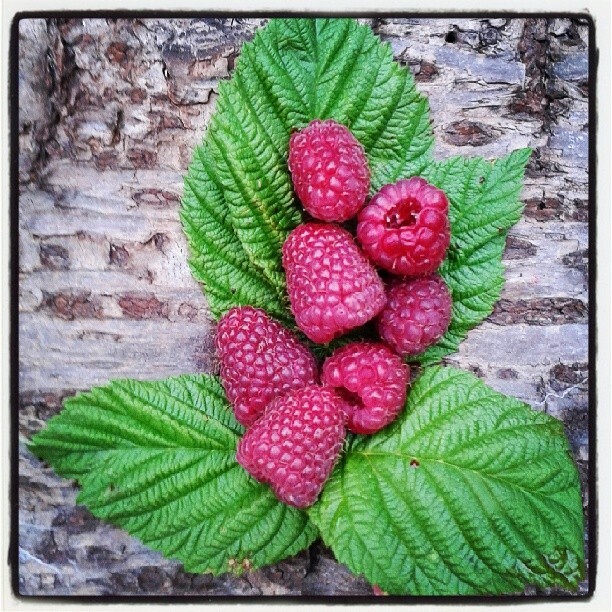 It’s hard to conjure up summer when you haven’t had one yet. And, so far, we are yet to have a winter. No real frost, no snow and interminable amounts of rain. I’m wondering what 2014 and beyond are going to bring. Will we ever get to garden this year or should we start to farm cranberries? 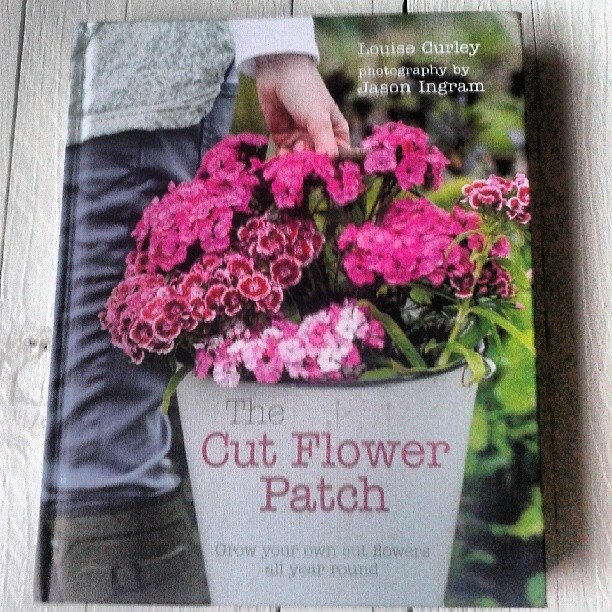 As well as the appearance of the crocuses something else which managed to lighten my mood was the arrival of an advance copy of my book. 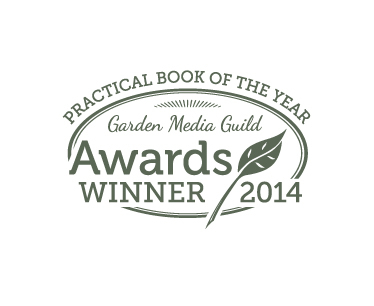 A small number of books arrived just after Christmas, ready to go out as review copies to newspapers and magazines. The rest will arrive in the coming weeks, closer to the date of publication. I knew the book was on the way, so when I saw a parcel in the postman’s hand and the label of my publisher on the envelope I got a little excited. I know it might seem a little odd that I sound surprised I got excited about it, but I am. I have seen the images and text so much over the course of the last year that I feel like I know them inside out, so I did wonder whether it would be a bit of a let down when the book finally arrived. I’m pleased to say that wasn’t the case, and to see it all together, as a finished product, did make me grin in a slightly inane manner for quite a while. Wellyman, bless him is actually reading the book, even though he must feel like he knows it all inside out too. It’s been quite cathartic to write about my grumpiness but I can’t put off the inevitable any longer. I have kale to pick and it appears to still be raining so where are those waterproofs…..